My car: my review and thoughts about it. It is quite good in this range, having excellent performance and very much comfortable for four peoples. I would recommend you to have this. Has great overall average and performance is also good. Much more reliable. It has good firing and too silent and comfortable driving experience for everyone. 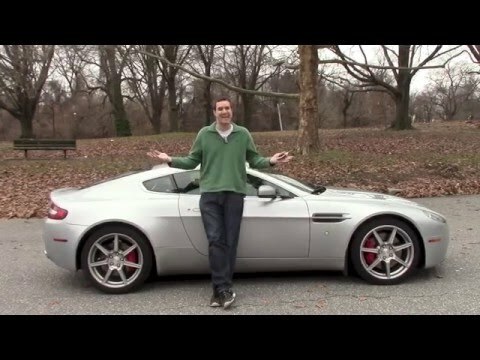 ASTON MARTIN IS RECALLING CERTAIN MODEL YEAR 2007-2008 DB9 COUPE, DB9 VOLANTE, V8 VANTAGE COUPE, V8 VANTAGE ROADSTER, AND DBS COUPE VEHICLES. THE FRONT BOTTOM SUSPENSION ARM CAM BOLT COULD CRACK ALONG ITS SHANK ALLOWING THE LOWER CONTROL ARM TO MOVE. MOVEMENT OF THE LOWER CONTROL ARM WILL INFLUENCE THE DRIVER'S CONTROL OF THE STEERING OF THE VEHICLE INCREASING THE RISK OF A CRASH. DEALERS WILL REPLACE THE FRONT SUSPENSION LOWER CONTROL ARM CAM BOLTS. THIS SERVICE WILL BE PERFORMED FREE OF CHARGE. THE SAFETY RECALL IS EXPECTED TO BEGIN ON OR BEFORE OCTOBER 18, 2010. OWNERS MAY CONTACT ASTON MARTIN CUSTOMER SERVICE AT 1-888-923-9988.